Microprose F1GP is now over 20 years old! 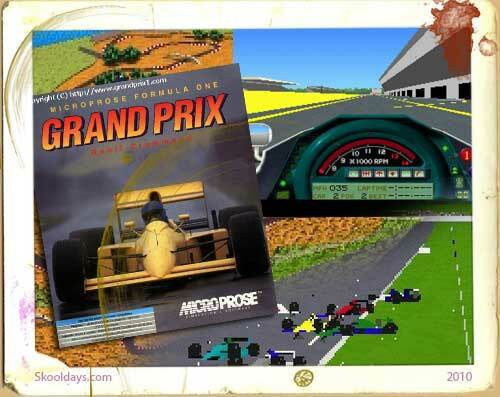 MicroProse Formula One Grand Prix was the start of a racing simulator that gave a real 3d simulation for F1GP fans. This Game was a long way from the arcade games that had been churned out in the past. This was a full weekend racing sim and if you didn’t know better you were Carlos Sanchez (the name given as the default driver). Formula One Grand Prix was also known as World Circuit in the United States, it’s success led to three sequels, called Grand Prix 2, Grand Prix 3 and Grand Prix 4. Microprose F1GP was based on the 1991 season and with data from the Footwork team, the game was released in January 1992 by MicroProse for the Atari ST, Amiga and PC. Mighty game designer Geoff Crammond built this single handedly and has been hugely influential on the racing simulators formats from that date on. Assistance tools like driving line, traction control, automatic brakes and driving help are still standard 20 years on. MicroProse F1GP was accurately based on the cars and helmets, but due to licensing could not have the drivers names. So a fresh install required a quick editing of the names and then you were away. Together with the 16 authentic tracks based on true data from the Footwork team and the atmosphere-packed rendition of complete Grand Prix weekends, it made F1GP a favourite with Formula One and racing sim fans for many years, and is still referred to occasionally in current reviews as a classic benchmark. Geoff Crammond is a computer game designer and programmer who specialises in motor racing games and broke into the gameing world with Revs and Stunt Car Racer. It’s easy to forget how dedicated Crammond must of been to this series of games. He claims to have had little interest in motor racing before programming his first racing game in 1984, but he holds a physics degree, which may explain the realism of some of his programming. As a consequence of that project he became a big fan of Formula One motor racing. At the end of the 80’s, this interest, plus the ever improving capabilities of home computers, inspired him to specialise in programming Formula One racing simulations on the PC. This entry was posted in Arcade, Toys and tagged 1980, 1990 by Skooldays. Bookmark the permalink. This was a classic. The very first game taking f1 seriously! I remember at school sharing this with my class mates on a day where we introduce ourselves and share any hobbies we do outside of school. This game was played vigorously by myself and 5 others inter- linked by 2 pc’s, on a weekly basis! My enthusiasm of. this game remained strong, despite standing up in front me 30 of my peers, describing how real this game was at the time, convincing everyone to believe how EVERY TREE was positioned in the correct place.lol. With Steve Williams, Martin Burridge, Nathan Sanderson and Matt Guy, several trophies and 12 seasons of statistics, they were the days! Let’s see if codemasters can replicate the addictive nature of improving driving styles and getting quicker and quicker with f1 2010. This was what you needed a joystick for!